We have kept busy this weekend filling both Hawthorne Vintage and the Vintage Design Collective with our latest finds and creations. Many are also available online on Etsy. Set of 6 Gunlocke armchairs as found. They have now been reupholstered and are now available at Hawthorne Vintage . Vintage lounge chair (left) SOLD. 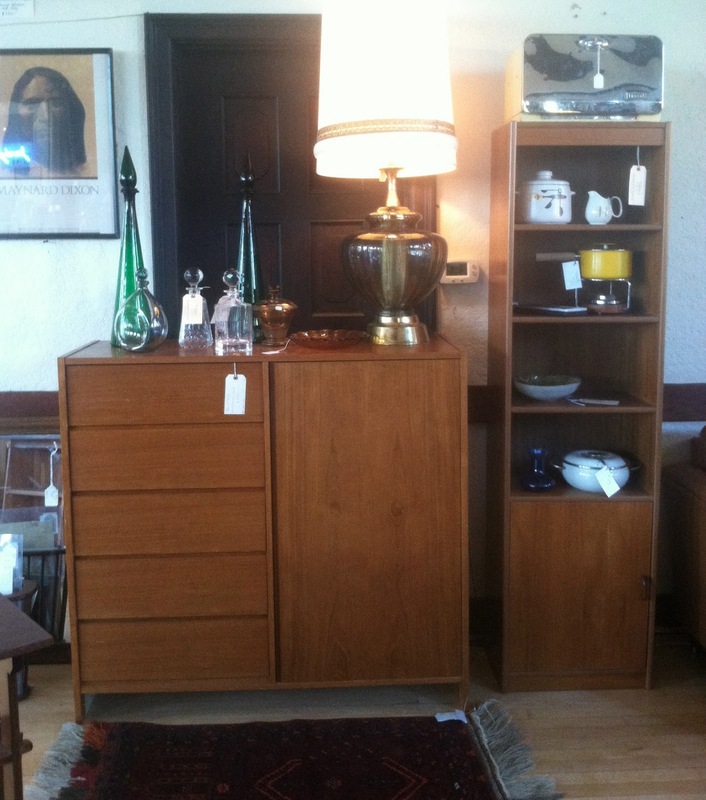 Danish teak dresser now available at the Vintage Design Collective. The lounge chair is so cool! You guys sure do keep busy!